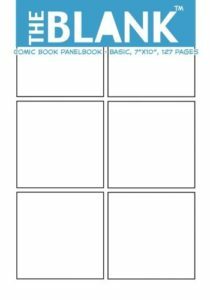 About Comics has created a series of comics notebooks, The Blank™ Comic Book Panelbook volumes are available in a variety of formats. There’s the standard format – every page has six equal panels. 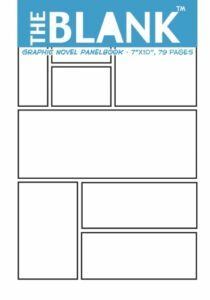 Order from Amazon: 63 pages of panels, $6.99 ; 127 pages of panels, $8.34 . The staggered format – every page has six panels in a big panel/little panel/little panel/big panel pattern. For those who like more complex layouts, these books are pre-ruled with light lines that will help you make the panel layout you want. 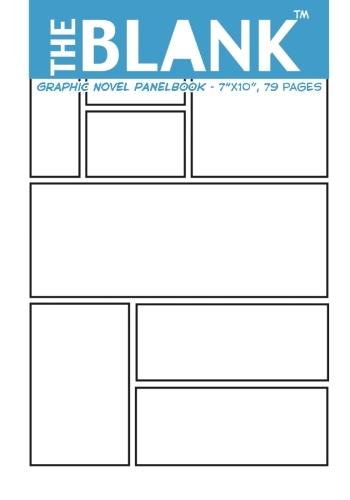 Some examples of the panel layouts you can make with the gridbook. Please note that neither the Panelbook nor the Gridbook are printed on archival or acid-free stock; these are meant as design and thought sketchbooks, and not as the final home for your masterpiece. 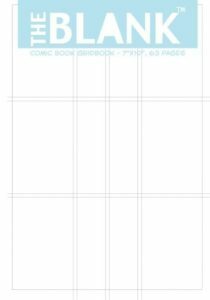 Printed on 60# white stock, they handle pencils and ink pens well, but markers are apt to bleed.